Lexicolatry: Who Was Don Juan? The odd thing about Don Juan, a fictitious character from the 1630 tragic drama El Burlador de Sevilla, is that he was written as a cautionary character - despite being a man of exceptional talent and charisma, his life of dissolute immorality ultimately led to his eternal damnation (and he kind of deserved it too, murdering as you do the father of one of the girls he seduced, and than mocking an effigy of the poor chap at his tomb). However, pretty much all cautionary sense has been lost in its modern usage, as English elects to celebrate this bounding cad as only English can. 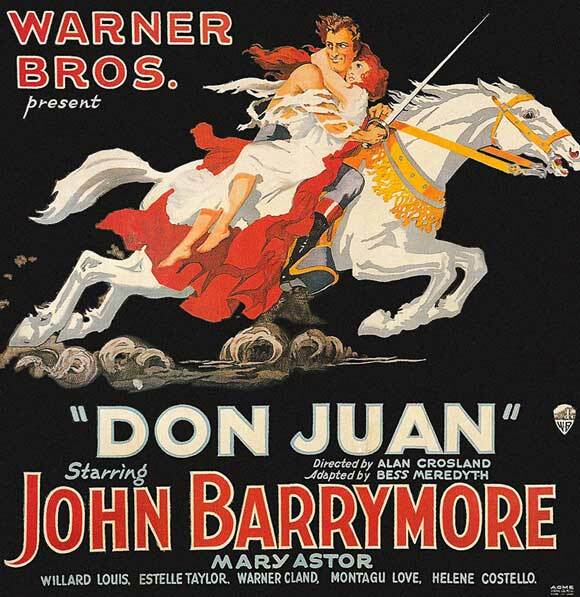 Are you a Don Juan? What connotations does Don Juan have for you? Do please leave your most seductive comments in the box below. But how do you pronounce Don Juan? Do you say JOO'n, like an English graduate who knows her Byron? Or go all Spanish with Hwarn? For me, I think I'll stick with Don Giovanni if I can. The music when DG is about to go down to hell might be the most terrifying ever written. D'ya know, Sally, I had never thought about the pronunciation - as I speak Spanish, I just automatically pronounced it 'Hwan' (with that rough 'Hwugh' sound) and never gave it a second thought. On checking Oxford Dictionaries online, they give both of your pronunciations, but not my rough, macho Spanish one. Well tough! I've been carrying this spittle-inducing way for too long ... no voy a cambiarlo!